Betty Gene Meade, 95, passed away on Wednesday, June 6, 2018. 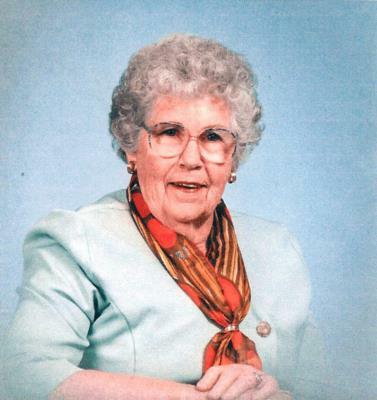 She was a resident of Elephant Butte since 1989. Mrs. Meade was born March 9, 1923 in Cincinnati, Ohio to Homer Swaim and Ina Mabel Jaque Swaim. Betty was a 1945 graduate of Miami University in Oxford, Ohio, with a degree in Home Economics and English. In 1967, she received a Master of Science Degree from Eastern Michigan University in Ypsilanti, Michigan. 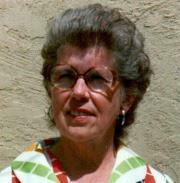 She taught school for 20 years in Michigan and after the family moved to Albuquerque in 1969, she continued teaching in the Albuquerque school system until her retirement in 1978. Mrs. Meade was a world traveler. Wherever she went, she gave out Bibles and religious tracts to those she could tell about the Lord. Her travels took her to all 50 States, Canada, Mexico and all of South America. She went to China twice, as well as, Tibet and the Polynesian Islands, Israel, Jordan, Africa and 12 countries were also on her itinerary. She was a member of the First Baptist Church in Truth or Consequences and other local organizations. Betty was predeceased by her husband, Claude, in 1985; son, Ronald, in 1981; and son, Gary, in 2001. She is survived by Ronalds’ two daughters: Charlotte Meade-Leher and Connie Costello; and by Garys’ wife, Deborah, and children – Scott Meade and Heather Aurit. Services will be held on Wednesday, June 20, 2018, at 11:00 A.M. at the First Baptist Church with Rev. Dudley Bristow officiating. Interment will take place in Spring Grove Cemetery in Cincinnati, Ohio.